Hey there. I like to think of my family as a gaming family. I have my genre of games that I enjoy (Bioshock, Final Fantasy, etc. ), the boy has his genre (CoD: Black Ops, Left 4 Dead, etc. ), the girls have theirs (Kinect Adventures, Dance Masters), and the wife enjoys side scrollers (Super Mario, Super Mario World, and other Mario related games). lol But when it comes to going online, the girls are the ones that are a little lost. They like to play games and while they'll venture off to iCarly.com or Disneychannel.com, more often than not, they'll leave the site no more than 10 minutes later because they couldn't find a game that they enjoyed. They just can't seem to find many girl games that are easy and fun to play. While doing a quick search for easy girl games, I came across the site, http://www.easygirlgames.com. Easy enough. lol One of the things that I really wanted to focus on, aside from being kid friendly, is the ease of getting into the game. One of the things that seemed to irk the older kids is having to sit with my youngest daughter to explain how to play the game. They wouldn't mind showing her, but since she wasn't too happy with certain games, the older kids would explain up to 6 different games to her. I wanted to find one that was easy enough for her to understand on her own and I like that that is the case here. 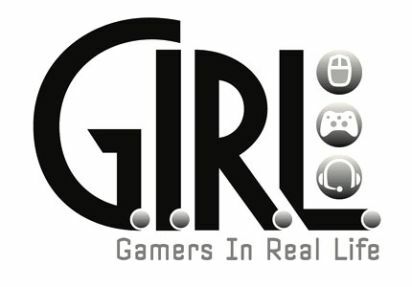 I think girl gamers are cool so I want to encourage my young ladies to play. I'm not pushing them, of course, and they're free to choose whatever genre of games they would want to play. I get a special joy of hearing my young say, "You haven't passed Silent Hill yet, dad. What are you waiting for? ", or "Oh, look dad! Final Fantasy stuff!" lol Later! I want to play a really good, addictive online girls game for free but cant seem to find anything. Please help!